Amanda Woods basically has her dream job; good hours, rewarding work, and all right in her back yard. Or ocean, as it were. Woods is a captain and crew supervisor with Bridgemans, a company with a joint venture agreement with Haisla Nation which provides marine transport services around the Douglas Channel. 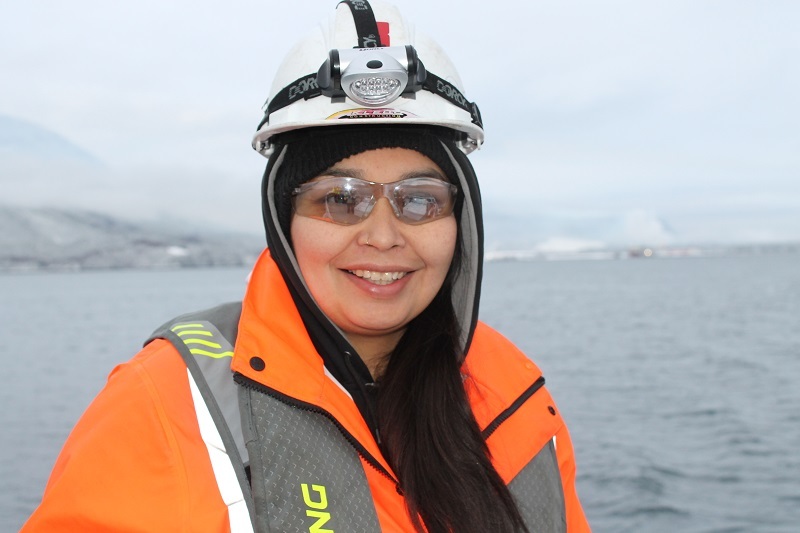 She is one of the 13 Haisla members currently on the job, for work which is supporting the LNG Canada project. And she says there are many more positions available for Haisla who are looking for work. Woods herself has fashioned a career for herself on the major projects in the Kitimat area. She’s worked for other companies including Vertex and Ruskin Construction. She also worked for Haisla Fisheries for a time. “You learn different things and meet new people,” she says of the work she’s in. She says there’s a very low barrier to get the necessary training to get work like she has, meaning the opportunity is there for anybody. Scheduling is also very flexible, she adds. She said it’s work that has fit well in her life, and it’s almost become a family business in a sense; her oldest daughter works with her too. Haisla members, you can learn more about opportunities through the Education & Employment department, by calling 1-877-809-8098, or visiting 606 Mountainview Sq, Kitimat.